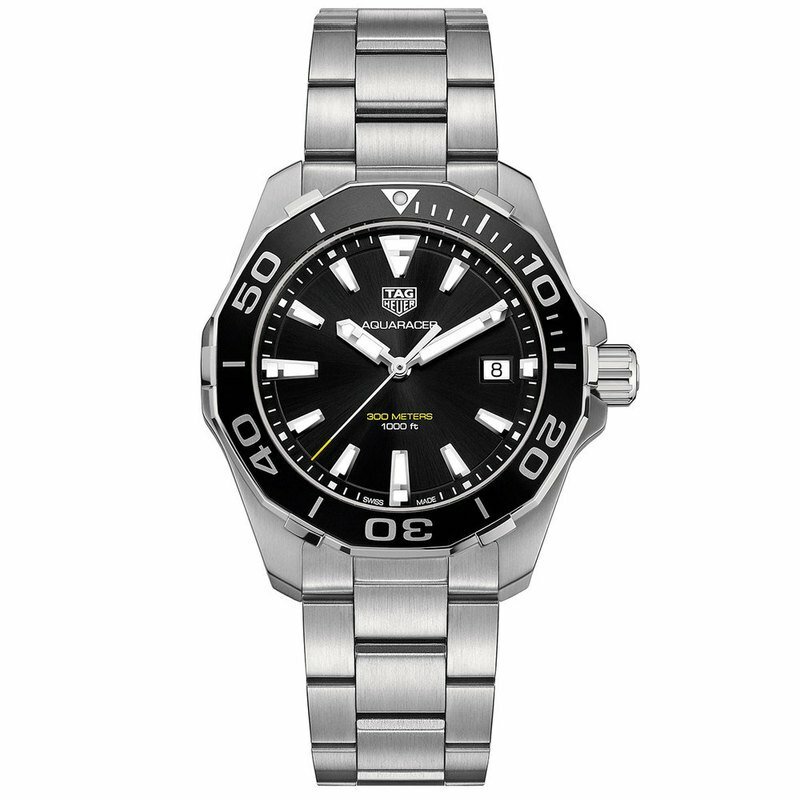 Designed for the demands of water sports, this AQUARACER men's watch from TAG Heuer combines an Swiss quartz movement, 41mm stainless steel case, and water-resistance to 300 meters for high performance in water or on land. Surrounded by a black aluminum unidirectional turning bezel, the black sunray dial includes a date window, and luminescent hands and indexes. The scratch-resistant sapphire crystal features anti-reflective coating for better visibility in bright light. A fold-over clasp with safety secures the stainless steel bracelet.